With rich industry experience and knowledge, we are manufacturing, exporting and supplying a wide gamut of Automobile Spare Parts. These are fabricated using optimum quality raw material and cutting-edge technology. The offered range is designed and developed with high precision in accordance to meet the set industry standards. Matching up with the ever increasing requirements of the customers, we are engaged in providing Stabilizer Knob Cap. 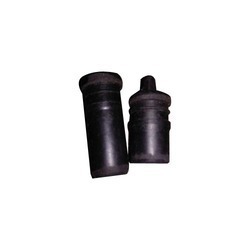 We offer wide range of Lubricator Spare Parts. Our Industrial Lubricator Spare are highly appreciated by the customers for attributes like corrosion & abrasion resistance, durable finish and easy installation. 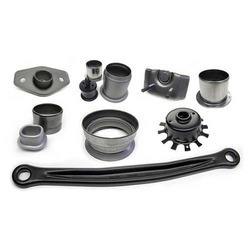 LNM Auto is one of the professionally managed suppliers and manufacturers of a variety of components for 2-wheelers, 4-wheelers, heavy vehicles etc. We offer a comprehensive range of products such as Wheel Hubs, Ball Joints, gear blanks, gears, pinions, etc. All our products are competitively priced and are of superior quality. In order to meet the various requirements of the customers, we are engaged in offering a wide assortment of Pump Jaw Holder. Being the foremost company, we are offering an exclusive collection of Automobile assembly lever.